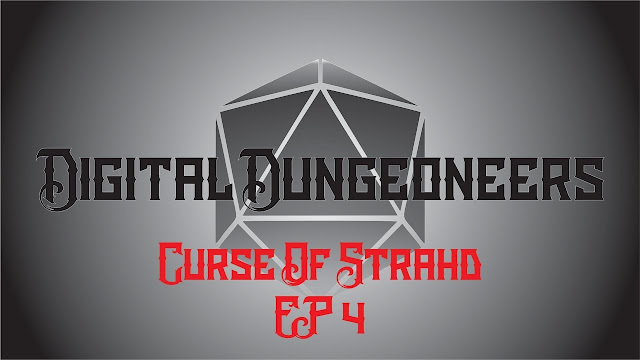 Comic Frontline: Digital Dungeoneers - Curse Of Strahd - Episode 4! Digital Dungeoneers - Curse Of Strahd - Episode 4! Welcome Adventurers! This is Spidey Queue's new Channel Brand Digital Dungeoneers! We hope you enjoy their campaign through Barovia as their group sets sights on figuring out its mysteries and who this cursed Devil Strahd actually is. This is Dungeons & Dragons (D&D), This is Digital Dungeoneers, This is CURSE OF STRAHD!!!!!! First video with the new camera setup! Still fiddling with the bugs but hope yall enjoy! BIG BIG BIG Shout out to the friends at playdiceshop! Check out their site and Instagram on how to get your hands on some of there amazing dice sets! Lets get to 200 subs so we can do that giveaway!